Digital Camera Jargon Buster - Which? Don't get baffled when buying a new digital camera. Our simple guide will help you decode the camera jargon you'll come across. Aperture is one of the three main controls you can use when taking a picture. In simplified terms, it's an adjustable opening in the lens through which light passes to hit the image sensor. Aperture controls depth of field, which means how much of the image, from foreground to background, is in focus. Aperture is measured in units called f-stops, for example f/2.0, in which a smaller number represents a larger opening. A digital camera setting that allows you to set the size of the aperture (called an f-stop) and allow the camera to determine the shutter speed for a correctly exposed image. Since each aperture value doubles the amount of light that gets to the sensor, you will need a shutter speed half as fast to get the same exposure. This method works best when you want to maintain a fixed depth of field while shooting under changing lighting conditions. Abbreviated to AF, auto focus is a function of a digital camera in which the camera automatically focuses on the subject in the centre of the LCD screen or viewfinder. 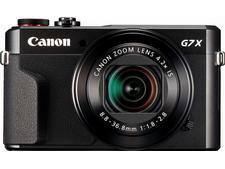 Looking for the best compact camera for you? 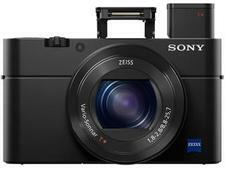 Discover the models we recommend by visiting our Best Buy compact cameras. Most digital cameras have built-in rechargeable lithium ion batteries and come with a charger. These are a clear money-saving upgrade from having to rely on AA batteries, and they last for a good while too. We had to drop our testing of camera battery life a few years ago, simply because models would take too long to run out of charge. A bridge camera is one that attempts to 'bridge' the gap between digital compact cameras and digital SLRs. They tend to feature a large zoom lens (not an interchangeable one) and a larger image sensor than a compact. Burst mode (also known as continuous shooting mode) is a feature where the camera captures a number of photos in a short amount of time. For example, capturing 10 photos in five seconds, or 20 photos in two seconds. Burst mode works especially well with fast-moving subjects, allowing you to record a number of shots within a second or two, giving you a greater chance of snapping a great photo. Stands for charge coupled device. CCDs are sensors in digital cameras to record still and moving images. The light is captured and converted into digital data, and then recorded by the camera. Short for complementary metal oxide semiconductor, CMOS is now the most popular type of image sensor and can be found in everything from mobile phones to professional-level DSLRs. Colour reproduction is a digital camera's ability to record colours that are true to life. Typically, this is a point-and-shoot style of digital camera that lacks an interchangeable lens and an optical viewfinder. Photos are composed via the LCD screen on the back of the camera. They're small enough to carry around in your pocket, and their compact size makes them ideal for travelling. Also known as mirrorless cameras, compact system cameras (CSCs) can use different lenses and generally have larger sensors than a compact or bridge camera. Similar to DSLRs, these cameras are designed for people seeking a camera that will offer lots of creative control and top-notch picture quality, but don't want the bulk of a DSLR. Also they don't contain a mirror to reflect light into an optical viewfinder, which makes them generally smaller than DSLRs. Composition describes the arrangement of everything included in the final photo. This is the part of the photo, from foreground to background, that is in focus. A shallow depth of field, as is often used in portraits, shows the subject's face in focus while the background is softer. A deep depth of field, which tends to be used in landscapes or group shots, shows everything in sharp focus. Adjusting aperture is the main way of changing the depth of field. A DSLR, or digital single-lens reflex camera, is a high-end type of interchangeable-lens camera used by photography enthusiasts and professionals. Find out which DSLRs passed our rigorous tests with flying colours by visiting our DSLR camera reviews. A digital zoom has no moving parts, and the image is cropped and digitally enlarged, reducing the overall quality. Mobile phones with a built-in camera typically feature a digital zoom. Distortion sometimes occurs when you've zoomed right in or right out. Straight lines near the edge of the image might look slightly bent. An electronic viewfinder (EVF) is essentially a tiny LCD screen. You use it just like an optical viewfinder and, on most cameras that feature an EVF, you can easily switch the view between the viewfinder and the large LCD screen on the back of the camera. 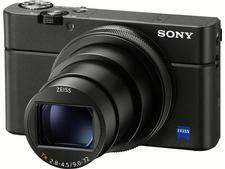 They are typically common in compact, bridge and compact system (mirrorless) cameras. The exposure is the amount of light allowed to fall on to the image sensor in a digital camera, which is determined by the length of time the shutter is open and how wide the lens is allowed to open (aperture). A method of directing the camera for lighter or darker shots. This allows you to manually alter the exposure for specific effects and subjects. It's measured in stops of light, with the negative numbers resulting in darker photos and positive numbers creating a brighter photo. This feature is based on built-in camera software that detects the shape of a human face and automatically sets the focus and exposure for perfect portraits. The focal length of a lens refers to the distance at which objects appear from the camera in a photo, essentially equivalent to the zoom level. Focal length is generally expressed in millimetres, with a small focal length (below 50mm) being classed as wide angle, with larger values (over 50mm) being classed as telephoto. Frames per second (fps) are the maximum number of images a camera can shoot continuously in one second. This is important for high-speed action shots and shooting video. Represented as numbers, this is a measure of the aperture opening in the lens, defined by dividing the focal length of the lens by the aperture diameter. Basically, doubling the f-stop number halves the size of the aperture opening. So, changing from f/10 to f/20 decreases the aperture from 10mm to 5mm. Each step is doubling or halving the amount of light the lens lets in. GPS, which stands for Global Positioning System, is a radio navigation system that allows any user on land or sea, or airborne, to determine their exact location, velocity and time, anywhere in the world. Some cameras feature built-in GPS, which is useful for tagging your video/photos with accurate location data. This means you can track your adventures on a map or you can enter caption information in the metadata – you'll know exactly where a photo or video was taken. HDR stands for high dynamic range, which is an older photography technique recently made popular again by phone cameras. It's a method that adds more 'dynamic range' to a photo, which means the ratio of light and dark in a photograph. So instead of taking just one photo, HDR uses three photos taken at different exposures. You can use imaging software to combine these three shots to create your perfect photo or, in the case of a phone camera, the phone does all the hard work for you. A graphic representation of the range of tones from dark to light in a photo. If the chart peaks towards the left side, it has a lot of dark shades. Similarly, if the chart peaks on the right side, it has a lot of bright sections. If the peaks are cut off at the edges, it means the photo is underexposed (left side) or over exposed (right side). Especially helpful when mastering the manual exposure controls, this enables you to precisely check the exposure of the photo. A slot located on top of the camera to attach accessories, like a flash or external microphone boom. An electronic sensor within the camera that translates the light coming through the lens into a digital photo. See camera sensor sizes explained for more information. Although the digital camera might be perfectly focused, your photos could still be blurry, especially in dim conditions or if you've zoomed in a lot. This is the curse of camera shake – sometimes even the smallest hand movements affect the picture. Most digital cameras now have optical image stabilisation technology, which typically involves the lens or digital sensor moving ever so slightly to compensate for hand movements. The ISO setting on a digital camera tells you how sensitive the camera's sensor is to light. Using a higher ISO setting (such as 400, 800 or 1600) means it can be easier to take good photos in dim conditions without flash. Although having a high maximum ISO setting on your digital camera is a benefit, using a higher ISO setting can introduce more noise into your pictures, ie the random speckles of colour that can detract from picture quality. A liquid crystal display (LCD) screen allows you to frame and review your images in addition to displaying camera functions and menus. A setting on a digital camera that enables users to focus on subjects close to the camera lens. A megapixel (Mp) equals one million pixels. The term is used in reference to the resolution of the digital camera. More megapixels mean more detail, so you can create bigger prints without noticing blockiness on the picture. Megapixels aren't the be all and end all though – the digital camera's lens quality, sensor quality and sensor size play a big role in how sharp and colour-accurate your pictures are. A memory card is what your camera uses to store your photos. There are various types of cards available, with the most common being SD, SDHC and SDXC. If you’re looking to record HD video with your camera, you should also consider whether the capacity and speed of the card are sufficient. The camera assesses the amount of light available for a photograph and then adjusts the exposure accordingly. Sometimes, the camera may not be smart enough to accurately judge the amount of light, so the photographer can make manual adjustments. There are three main metering modes available – evaluative metering, spot metering and centre-weighted metering. Stands for neutral density filter. This is a filter designed to slot in front of the lens to block out some of the light entering the lens. This filter type is typically used by landscape photographers when shooting waterfalls or creeks in full daylight with a slower shutter speed. NFC stands for near field communication, a type of short-range wireless connectivity to enable communication between devices, such as a mobile phone, laptop or digital camera. Noise refers to the random speckles seen in images. It occurs particularly when photographing areas of even colour, such as the sky. When a higher sensitivity (eg ISO 800 and above) is used, noise becomes more prominent. This physically moves the lens within the camera, maintaining image sharpness and resolution. An optical viewfinder (OVF) uses a mirror and a prism to bounce light through the lens and towards your eye. This means you can see almost exactly what the lens sees, without any delay. Also known as a fixed lens, this is any lens that does not zoom and has a set focal length. For example, a 50mm f/1.4 lens. This is a type of file format that DSLR cameras and some high-end standard cameras can create. It gives maximum image quality and versatility when editing with photo-editing software, but file sizes are very large and they require some processing in photo-editing software before they can be used. For more on the difference between Raw and Jpeg image quality, visit 10 photography tips for taking better photos. Some portraits taken with a flash can result in an unsightly ‘red-eye’ effect. The built-in technology reduces the chance of red eye appearing in portraits. This refers to a digital camera setting or mode that allows the user to set the shutter speed and allows the camera to determine the aperture size (also called f-stop) for a correctly exposed image. The shutter speed is the unit of measurement that determines how long the shutter remains open as the picture is taken. The shutter speed controls motion in your shot, and the larger the number, the greater the speed. Use a fast shutter speed, like 1/1000 (which is 1/1000th of a second) to capture fast-moving action, or a slow shutter speed, 1/4 of a second or longer, to blur moving objects. Some cameras even support shutter speeds measured in full seconds, not fractions, such as 5 or 10 seconds, which is especially useful in low-light photography. A time lapse is a video created by stitching together multiple images taken of the same scene over time. Don't confuse this with a long exposure photo, which is a single image with a long shutter speed. A viewfinder is the eyepiece you look through to frame and focus your subject matter before taking the picture. There are two different types of viewfinder – optical viewfinders (OVF) and electronic viewfinders (EFV). Found on DSLR cameras, an optical viewfinder allows you to see exactly what the lens sees by looking through the lens using a system of mirrors and prisms. An electronic viewfinder uses a tiny electronic display, very similar to a larger LCD screen. Determines the sharpness and crispness of the footage. Video resolution refers to the number of pixels in each frame. All digital cameras have automatic white balance. This feature goes some way to ensuring your photos' colours are as accurate as possible. Often though, you do get slight colour casts – this is most often seen when you take a photo indoors under a normal household light bulb and your photo takes on a yellow tint. Thankfully, nearly all digital cameras have manually selectable white-balance settings (indoor, daylight, cloudy) to help you achieve accurate colours under different light conditions.